Colombia and Brazil towards the free carrying of weapons? Brazil and Colombia lean their political gait towards a very conservative perspective that seeks to implement different regulations of extreme right-wing taste. Lately, the proposals that loosen over the flexibilization of the policies that have to do with the bearing of weapons have been in the eyes of the public debate. 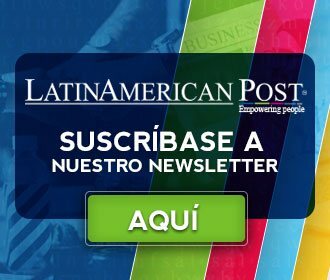 Leer en español: ¿Colombia y Brasil hacia el porte libre de armas? This time, the two countries have coincided in promoting struggles to open the way for civilians to arm themselves, where despite having taken different paths, the outcome may end at the same point. Since 2018, the debate on the carrying of arms in Colombia was opened through a letter signed by about 50 congressmen of the party 'Centro Democrático' and the Conservative Party, and headed by Cristian Garcés. In this request, President Iván Duque was asked to relax the decree that allows civilians and retirees to carry weapons for self-defense. "It is not exactly arming the citizens, what happens is that in the government of Santos they were left without using the postage of arms that had about 45,000 citizens in Colombia, it is only 1% of the population of the country that was entitled to the bearing of arms and the government Santos invented the special demeanor, restricting to the maximum the bearing and that has not worked ", Garcés explained to Radio La Fm. With this request, Duque changed the decree, with the support of his mentor: Senator Álvaro Uribe Vélez and the Minister of Defense, Guillermo Botero. 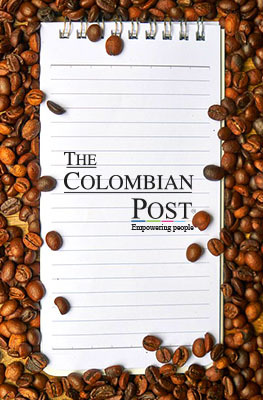 In this way, the extension for the prohibition of a free use of weapons will go until 2020; nevertheless, giving freedom to the Minister of Defense to determine the guidelines to approve special permits that allow the citizen's bearing of arms , issue that alarms detractors, since they consider it will be the door that gives way to a new era of violence in Colombia. Decree 2362 of December 24 will be sued by former ministers of the previous government, through judicial channels. Former Interior Ministers Juan Fernando Cristo and Guillermo Rivera, and former Vice Minister Luis Ernesto Gómez are in the process of pushing the decision. "A door is being opened so that, by decree, the Ministry of Defense can create exceptional and very flexible circumstances that allow the military authorities, in each region, to begin granting permits," assured Juan Fernando Cristo to EL TIEMPO. The greatest fear of public opinion is that these safeguards can unleash the formation of new forms of violence in the country; or worse, the strengthening of a new era of paramilitarism. "We can not forget that the Convivir emerged based on regulatory decrees of that nature. It was not a great state policy or a constitutional reform", adds Cristo in his statements for El Tiempo. Since the campaign, the current president of Brazil, Jair Bolsonaro, promised to make arms more flexible, justifying himself in the violence that the country is experiencing. In his first interview as president-elect for the Record TV network, he assured that he would allow the carrying of arms because the country is at war. Few hours as president have been enough for the extreme right to decree on different issues that have generated unrest in the most progressive sector of Latin America. Now, as promised, he looks at the modification of laws and decrees that allow citizens to arm themselves for their defense. "He is in a hurry because he has a commitment to society, he wants to show that the order given is an order that has been fulfilled", Minister of the Presidency Onyx Lorenzoni told Globonews, highlighting this decision as one of the most critical achievements of his government program. This proposal was one of the most commented at the second ministerial meeting held in Brasilia, for which its approval was made on Tuesday, January 15. The measure, according to Bolsonaro, seeks that the "good citizen can have peace inside his house"; this was stated at the signature ceremony held at the Planalto Palace. The controversy is strong, since, according to data issued by the Brazilian Public Security Forum, up to date in Brazil, there is an average of 175 murders; what makes it one of the most violent nations in the world. However, despite the fact that the data are not favorable in countries where the carrying of weapons is more flexible, the approval of this regulation is expected to expand the possibilities of obtaining permits to possess weapons in Brazilian homes. Translated from "¿Colombia y Brasil hacia el porte libre de armas? !